All tours convene and depart from the Great Alaskan Tourist Trap. We have been a family owned business for over 18 years. We have combined our gift shop as a warm meeting place for you to get “Suited and booted” before your Snowmobile Tour. Don’t let the name fool you. 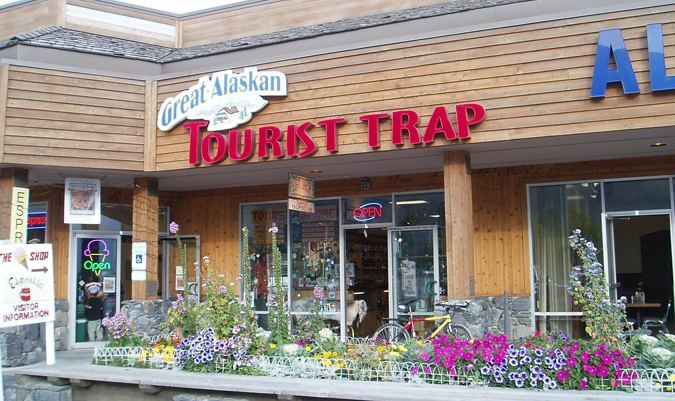 The Great Alaskan Tourist Trap is a lively place, an up-scale gift shop with a humorous twist. It’s the best trap in all of Alaska! We are located conveniently at the entrance to Girdwood, a scenic 45 minute drive South of Anchorage. The staff at the Tourist Trap will help make your snowmobile tour reservations and arrange other activities for you such as dog sledding, flightseeing, transportation, or accommodations. 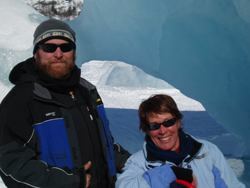 The Owners, Chris and Connie, take great pleasure in showing visiting guests a memorable and enjoyable trip. While Chris is out breaking new trails, or running a tour, Connie makes sure that everything goes smoothly behind the scenes. Often she will spring herself from the “Trap” and join you on a snowmobile tour. We are lucky to have some of the most seasoned guides in the whole state. 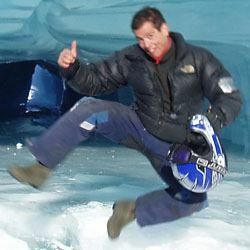 They are not only highly trained in CPR/First Aid, Avalanche Awareness, but have a knack for showing you a great time. Our Motto is, “The Safety of our guests is our number one priority and their maximum enjoyment our personal challenge”. 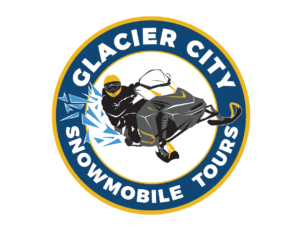 As long-time Guide, Matt’s been guiding snowmobile tours for Glacier City for over 8 years. He is naturally very funny but at the same time taking personal care of each individual. Originally born and raised in Colorado he chose to move to Alaska for his love of the outdoors. He enjoys skiing, rock climbing, fishing, hunting and of course snowmobiling. In the summer he helps run a helicopter dogsledding operation helping to train champion Iditarod sled dogs. He also owns a tree removal business called “Tree-B-Gone”. Read about our tour details and policies.